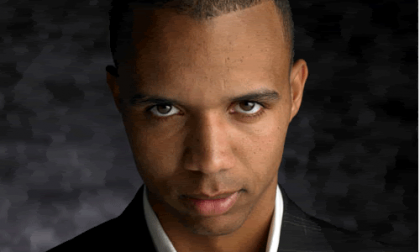 Poker professional Phil Ivey’s ongoing legal battles to profit by tens of millions of dollars through the use of a complex “edge sorting” scheme at casinos’ high-stakes mini-baccarat tables around the globe returned to the news in recent days. Ivey and his UK-based legal counsel appeared in a London appeals court last Wedensday to protest a 2014 High Court ruling in which Ivey was found to have used improper means to log a £7.8 million (over $11 million US) win at London’s Crockfords Casino in 2012. Crockfords refused to pay Ivey his winnings after investigating the mini-baccarat play by Ivey and his partner, Cheung Yin “Kelly” Sun, in circumstances highly similar to that involving the pair at New Jersey’s Borgata Hotel Casino & Spa. 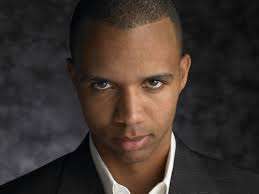 The Borgata play by the pair has resulted in another high-profile lawsuit centered on Ivey’s alleged-illegal activity. The initial 2014 decision favoring Crockfords against Ivey appeared to end the British case, though Ivey and his counsel succeeded last year in winning the right to appeal the initial finding. Such appeal rights are not automatic, as they would in the US. Citing the unknown legal territory of the initial ruling, Ivey’s counsel asked for greater clarity on what is “cheating” under British gambling law, with the assertion that Ivey’s and Sun’s actions did not meet that definition. Last November, Ivey’s UK publicists and legal counsel issued a statement announcing the approved appeal, which was delayed from an initial scheduling last December. Crockfords refused to pay Ivey the £7.8 million, though the casino did refund the playing deposit that Ivey had initially wired to the casino. Few details have emerged from last Wednesday’s hearing, and a ruling is not expected in the matter until September at the earliest. Any change in the UK ruling could also have a material effect on the US-based case involving Ivey and the Borgata. Counsel for the Borg has introduced the initial UK ruling into evidence in the US matter, and the public exposure of the Crockfords-Ivey dispute likely ended the fourth and final mini-baccarat session played by Ivey and Sun at the Borgata in late 2012. Crockfords, for its part, has taken a stance very similar to that of the Borgata, in that Ivey and Sun cheated by fundamentally altering the rules and odds of the mini-baccarat game as offered. Through the complex “edge sorting” scheme, the pair was able to identify certain cards and shift the game’s odds significantly in their favor. Back in May of 2013, Ivey’s UK counsel actively tried to scrub the Internet of stories that associated Ivey with various connotations of the word “cheating,” despite its use in allegations made by the casinos before and since. This writer is among those who received one such legal missive, which was summarily trash-canned in the virtual sense. Whether Ivey’s actions constitute cheating will always be, to a certain extent, a matter of opinion where reasonable minds can differ.